One person was able to escape unharmed after their home was ablaze. 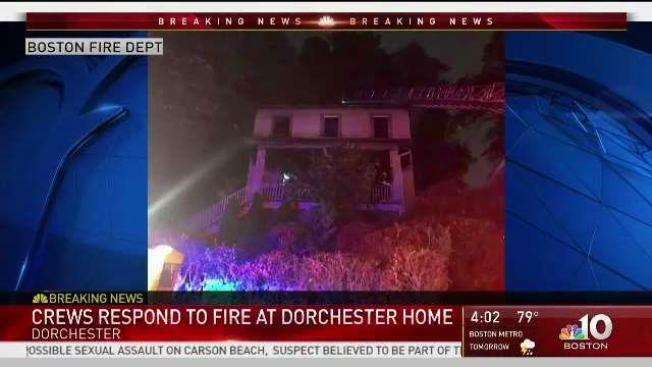 One person escaped after their Dorchester home caught fire in a 2-alarm blaze Wednesday morning. The Boston Fire Department responded to the fire at 2:18 a.m. at 550 Ashmont St., they said. The person who escaped the blaze was the only one inside the two-story property at the time. Fire crews said the blaze started on the first floor and spread to the second, which left the home severely charred. The fire caused an estimated $400,000 worth of damage and the one resident was displaced. One firefighter was treated for non-life-threatening injuries.